When the South Carolina Picture Project became a nonprofit, we knew we wanted Tom Taylor to serve on our board. 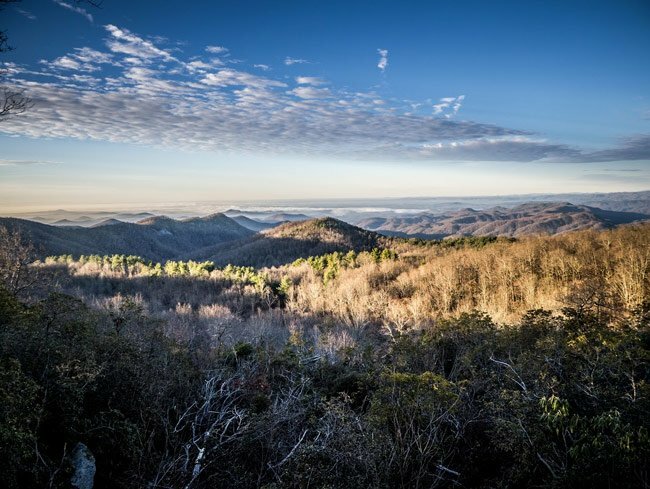 As a former teacher, a photographer, and the curator of a remarkable blog based on his Palmetto State explorations, there simply could be no better person to help guide our path. Click here to see all of Tom’s photos in the South Carolina Picture Project. Tom Taylor may be the nicest surprise we’ve ever had here at the South Carolina Picture Project! We first encountered him via Flickr, when we asked to add one of his images. This was many moons ago, and we were delighted to discover he had actually heard of us! Tom wrote back and said he’d been following SCIWAY since its salad days. 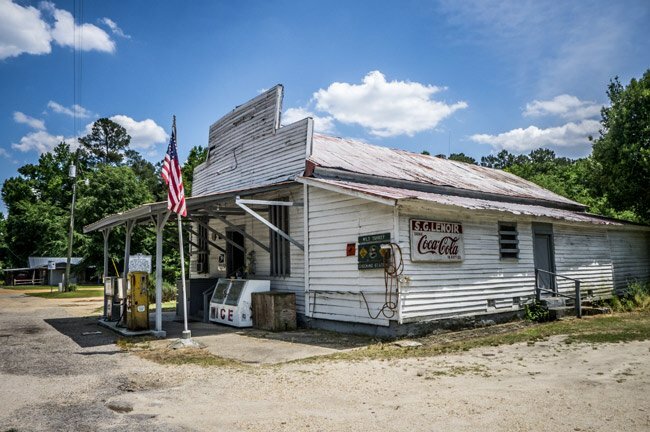 Although the South Carolina Picture Project is now an independent website, Tom Taylor remains with us as both a contributor and a friend..
As we have gotten to know Tom better, we have come to admire him greatly. The fact that he spent years as an educator only endears him to us more. In the spirit of generosity and the greater good that so many teachers seem to imbue, Tom has not only become a trusted source of photos but also a trusted source of knowledge. 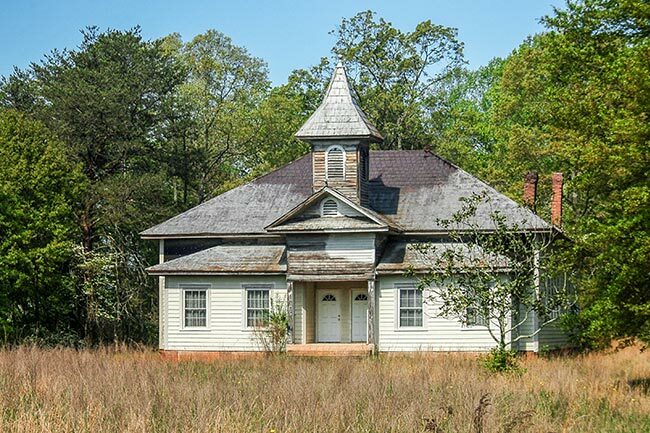 In fact, we often go to him with questions when we get stumped, and he is an especially good source of information when it comes to his favorite places – South Carolina’s schools, rivers, cemeteries, and ghost towns. 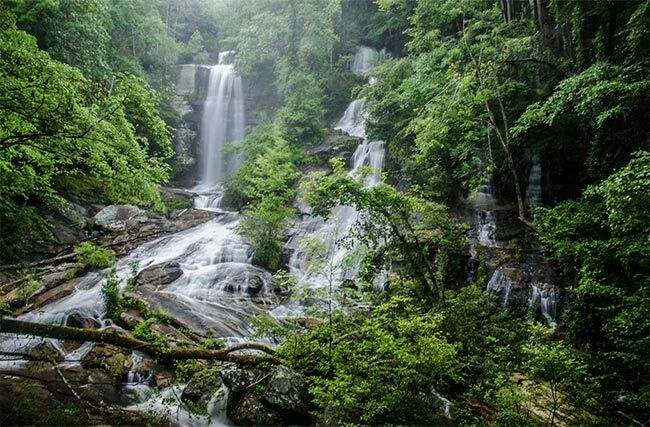 Interestingly, Tom maintains one of the best blogs in the state, Random Connections, which is much like the South Carolina Picture Project in its purpose and has even more of Tom’s wonderful photos. We highly recommend this site to anyone interested in South Carolina’s history – you’ll be hooked! It is a special pleasure to work with someone who cares as much about South Carolina’s heritage as her beauty. 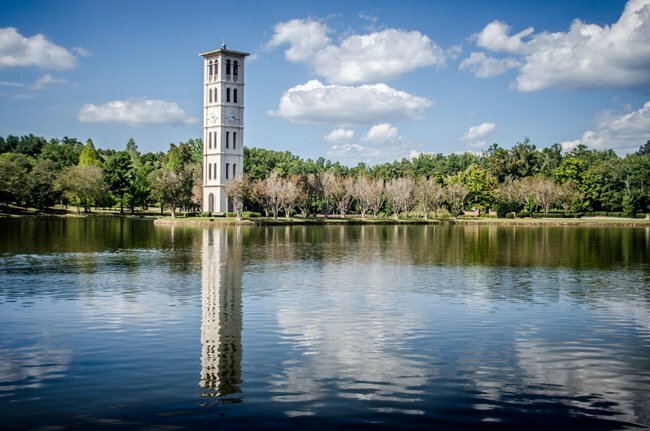 Tom’s photos and research give so much to the people of the Palmetto State. He is truly making a difference in terms of the historical documentation of our state, both culturally and geographically, and for this we are so grateful. Thank you, Tom! Background: I’m a retired educator and school administrator living in Greenville with my wife, Laura. I last served as Director of Technology for District Five Schools of Spartanburg. I graduated from Furman with an undergraduate degree in Music Education and a Masters in Education. I’ve taught elementary music, middle school chorus, fourth grade, and instructional technology. I have also served as a choir director in various churches in the area. I grew up in a large family in Laurens County. My father, a preacher and educator, and my mother, a music teacher, would load us up into the family car and take us on drives on backroads all over the Upstate. We all came by our love of rambling naturally, and I’m often joined by one or more of my siblings on my rambles. Hobbies: I love to travel and read, and I’m interested in genealogy and local history. I’m also an avid paddler. 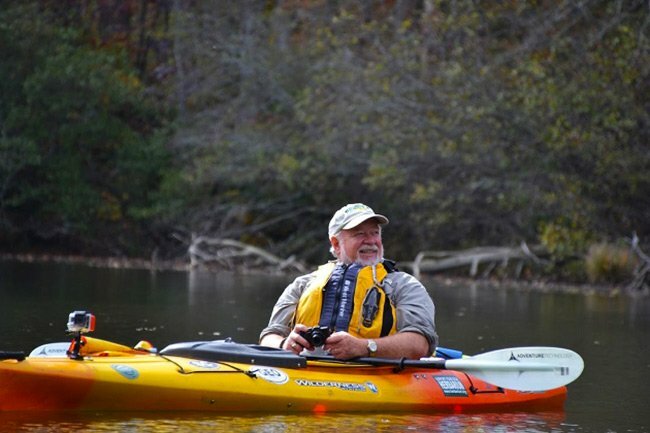 I enjoy exploring the rivers and lakes of the region, and have had the privilege of kayaking as far south as Florida and as far north as Washington State. Some of my favorite places to kayak are the Edisto River, Sparkleberry Swamp, and Lake Jocassee. Music is more than a hobby. I play several instruments and sing with the Greenville Chorale. I also like to compose and record electronic music. I love to tinker with techno-gadgets of all types. I’ve been an avid blogger since 2004 at my blog, www.randomconnections.com. I also pretend to be good at disc golf, pool, and darts. Photography: I consider myself an “accidental photographer.” My older brothers were the trained professionals, and I only began taking the craft seriously in the last decade or so. While I do appreciate the artistic nature of photography, I take photos as part of an overall process of documenting the natural and cultural history of our area. I’m a huge proponent of digital storytelling, archiving, and recording oral history. I always have a camera with me, whether it be a larger DSLR, a GoPro, a small point and shoot, or just my iPhone, and I also usually have an audio field recorder with me on my rambles. I photograph our kayaking trips and rambling explorations throughout the state. 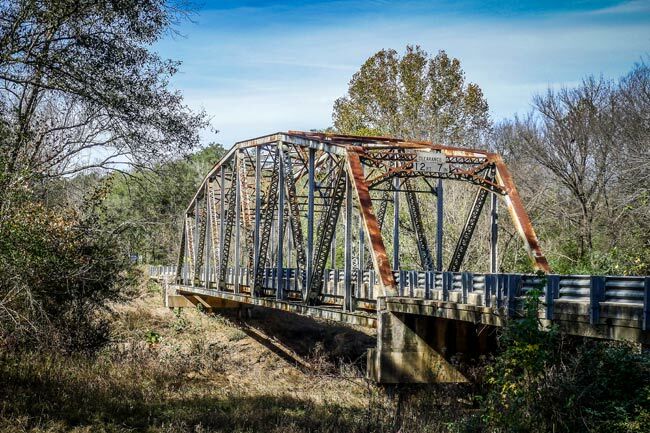 My subjects and interests include old schools, bridges, historic churches and cemeteries, fire towers, and ghost towns throughout South Carolina.